Terri was fantastic help with my new home construction purchase. Everything was supposed to be easy… until it wasn't. Without a doubt she saved the deal at least 3 times from falling apart. Her knowledge was priceless! She did so many things in the background, she made what seemed impossible… possible. Thank you for steering the ship! I love the home! Very honest and to the point professional. Myself, along with the wife, were on a journey unfamiliar to us but with the guidance of Terri Rigdon we are very grateful to her. I would not hesitate to recomend Terri to anyone searching for a home, she was instrumental in our decision for the home we choose. Thank you Terri, you’re simply are the best. Terri helped us by a home in Mandarin area of Jacksonville. She was very helpful, and negotiated with the bank to help us close on the home. She has contacts to help you with all the di?erent aspects of buying a home as well. She kept us informed and was very responsive to our many questions. We appreciate all of her expertise and absolutely recommend her to our friends and neighbors. Terri is the best! She was patient, kind, and so helpful to us through our home buying process. We will use her for every real estate transaction we have from here on! Terri Rigdon is the best agent you are ever going to have! Terri was amazing throughout this whole process, she was very professional but also very sincere in the way she communicated with me and I knew that she always had my best interest in mind with everything going on. She was very responsive to all emails, calls and text messages and was there for me with any questions I had that came up. I have worked with Mrs Terri Rigdon on two real estate transactions. I have found her to be very knowledgeable about the di?erent areas with in the county. She had a vast knowledge about ?nance and has the best ?nancial experts available to assist when needed. Terri is a person who does what she says she'll do! She has my trust and respect for her professionalism. I would strongly recommend Terri to anyone who needs real estate services. Terri has helped us with two separate transactions. I would use her again and refer my friends and family to her. Terri listened to our desires and needs and pointed out items, positive and negative that we had not thought of or overlooked. I recommend her without reservation. Terri is an extremely competent and thoroughly knowledgeable professional. She took a keen personal interest in the sale of my home. She was very aware of my concerns and patiently guided me throughout the entire process. She has extensive knowledge of the real estate market in this area, and all of the procedures that go along with buying or selling a home. She is a "can't-miss" realtor who I strongly recommend to any potential client. We started searching for just the right house a while back, then we found Terri. She listened to what we wanted and ?ne-tuned the features of the listings that she sent. When she started showing houses, she was very ?exible and accommodating - even when I looked over the ?rst house for almost 2 hours only to decide that I truly 'could not like it' , or when my daughter walked through house #2 for me while I 'looked" on Skype! But she listened to my comments. The second house was closer to what we wanted, and the third one was the charm. We walked it in December 2013 and closed in February 2014. Even though we had to go back overseas, it was not a problem to set up inspections, etc because Terri did it all. Emails ?ew almost 24hrs a day - we are 6 hrs ahead - and Terri facilitated every step, including the closing by proxy. She answered every question that we had and clari?ed any paperwork that we found confusing. I would absolutely recommend Terri Rigdon to anyone who wants to buy a house or a home. She is not a high pressure, pushy person. She will listen to you and try to ?nd what you need, then she will help you to make it happen. I am very happy with my home, and with the service provided by Terri. She rocks! Words cannot emphasize enough praise about this amazing lady. I met Terri a few years after moving to SJC as she assisted me with a rental home. During the following years as I prepared to purchase a home again, she was right there to answer the excess of questions I had. These current times ?nd many families living in multigenerational homes so ?nding suitable accommodations that would ?t these needs were a bit of a challenge as I have a parent who lives with me. With Terry’s professional knowledge and expertise I was able to get the house that I wanted. She was there right from the start to the ?nish at the closing table. For that, I am so very grateful!! After over 5 years of trying to sell our home in Jacksonville, we had pretty much given up. Our Attorney recommended Terri Rigdon. Terri listed the house and had a buyer in about 60 days. When the original buyer backed out just before closing she had a 2d buyer waiting. We closed about 45 days later. I would recommend her to anyone wishing to buy or sell property. What a blessing she was. I was so blessed that Terri came into my life to help me with my home in Jacksonville. I had a very complex sale made more di?cult by me living in another state during the process. She was a rock star in every way to represent me. She is a true professional that will tell you the truth so you can make the best choices you have. That is amazing that she can get her point across with tack and making me feel empowered at the same time. I felt I was totally in control with a great guide to help me along the way. This was a FHA sale and loan which means additional work on her part. Not only did she sell my house at the price 4 di?erent agency felt was fair, but she told me from the outset what she thought it was going to sell for. The hardest part of the whole thing was to let her do her job. I have a background in this area and was thinking I was going to have to step in, if I had I would of messed it up. She knows what is is doing, so my advice is to follow her advice. She was good at giving advice that gave me choices I felt good about. In closing she is the best. I did not have to worry or check up on her ever. She was always on top of everything all the way to the end. First let me say that our "house hunt" lasted over 2 years! We had a lot of speci?cations that we were looking for in a home. Throughout the entire process Terri was there 110% holding my hand and assuring me that I would ?nd the perfect place. She went above and beyond researching many MANY di?erent properties for us and meeting us to show them all, even with them being on di?erent sides of town. She was also great at bringing di?erent options to the table that we had not thought of before. Her professional knowledge of the real estate game was priceless, she knows her job inside and out! Buying a home is a major decision but no matter how many questions (or mini meltdowns) I had, I knew I call Terri for anything. Even if it was just a calming word telling me everything would be ?ne. Terri's patience with our situation AND her dedication to ?nding us the right home showed her true professionalism. If I ever have any other real estate needs she will be the ?rst phone call I make. Terri has become more than our realtor, she has become our friend! Terri helped me to successfully buy my ?rst property. I had talked with a few other agents in SJC before Twrri and was not satis?ed. I found Terri to be polite and friendly, yet professional and full of experience and knowledge throughout the entire process. Terri has kept in touch since closing too. I would strongly recommend Terri to anyone looking to buy in North Florida. I'm sure her knowledge of the selling process matches buying too. If I ever need a REA again, I know who I will be calling! You couldn't ask for a better realtor. The follow up is outstanding. It doesn't matter how busy Terri is, she's always 100% on top of things. She has a way of making you feel like you're her only client. Highly recommended!! Terri helped me to ?nd my ?rst investment property in Jax. She is very friendly, considerate, and e?cient; she is also very professional and has a wealth of knowledge in the ?eld. Terri cares about her clients and she goes the extra mile to make sure you get the best home for your money. I would highly recommend her to anyone looking to buy a home in Jax! Well, we made it, thanks to your expert assistance. We cannot ?nd the words that express our great appreciation for what you have done for us. First of all, you must know that before contacting you, we must have spoken with no less than four realtors in your area. Your case, our every contact with you, from the outset, whether it was spoken or written, was clear, succinct and encouraging to our rather panic stricken mind sets. You have restored our faith in real estae business. We would be the ?rst to refer any of our friends or associates to you for any future sales that may occur in the Florida area. Again, let us say Thank you for what you have done for us and the peace of mind which the successful resolution has given to us. Reeves. Terri is hands down the best realty agent we've ever encountered! From the beginning of the process when we decided to purchase a house in Jacksonville until we closed, Terri provided unrivaled expert assistance and professional guidance. She was extremely responsive to our numerous questions and knows the home purchasing process like the back of her hand. While we spent countless hours on the internet searching for just the right house, it was Terri who found the one home for us! She found us a gem! Her negotiation skills are, in a word, superb! Looking back on the process, having Terri as our buyers' agent was a brilliant decision. If you're looking for a home in the Jacksonville area, Terri should be your ?rst call! 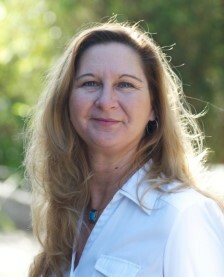 Terri has a vast knowledge of real estate and made our buying experience a pleasure. She made sure everything was done on time to meet our closing date. Terri was on vacation the day we closed and didn't hesitate to take the time to contact the lender to make sure closing went smoothly as it did. I highly recommend Terri for your agent and you will not need to worry since she will take care of everything. Terri is amazing! I made an o?er on a short sale property that was a real bargain. But little did I know that "short sale" does NOT describe the length of time involved in getting to closing. The process took 6+ months but Terri was right there all the way with encouragement, professionalism, and con?dence. Every time a snag came up (and believe me, there were plenty just because of the nature of a short sale), she jumped right in and brought about a resolution. We got into the house right before Christmas and had a blessed time, much due to Terri's perserverence. Go Terri! Terri Rigdon in a word was "Awesome" as our Agent. She was completely frank and up front with us. She immediately made an assessment of our house, told us what needed to be changed or completed prior to putting on the market and then came up with appropriate contractors (as needed) to ?nish the job. I'm active duty Navy and we were moving out of the area and Terri gave us the piece of mind of handling every aspect of the sale. If you are a military member, Terri is the agent for you, professional, personable, knowledgeable about the market and a experienced record with proven results. She is the perfect realtor, who understands the market, and provides the seller with the correct information along with recommendations to ensure success! We hope to move back to Jacksonville in the future, and will use Terri Rigdon as our agent to ?nd us a house again. Terri is a wonderful agent. She has been very helpful and attentive. She has been working with me for a while and is also very patient and understanding. Would recommend her without a doubt! Keep up the good work Terri.